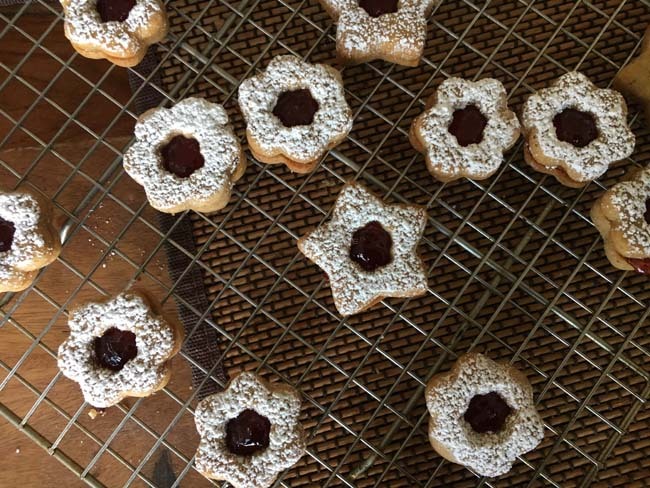 Linzer cookies – don’t these beautiful capture the essence of the holiday season ? 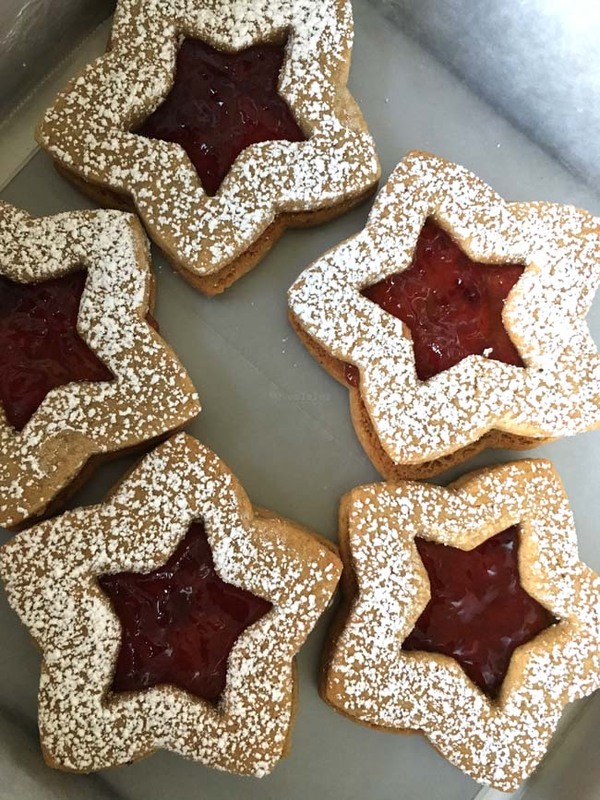 The powdered sugar reminds me of the sprinkling of the powdery snow, the beautiful star shapes and the vibrant red jam peeking out from the center is the hope for the future, welcoming the new year ! Am I getting a bit carried away ? Well may be , just a little .. The truth is it is a lot of fun to make these cookies. These beauties are elegant and at the same time a perfect fun activity for the little helpers in the kitchen – lots of room for imagination and creativity as well. 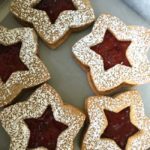 Linzer Torte, is a classic Austrian desert with nutty pastry crusts and jam. These cookies are a much simpler bite size versions. Two of the cookies are sandwiched with a layer of jam between them. Make them in any shape you like – squares , rectangle, circle , flower, stars or what have you . They look beautiful and taste delicious. The cookie dough is spicy, aromatic and nutty. If you start with room temperature ingredients the dough comes together very easily even with out the help of an electric mixer. Sift the flour , salt , baking powder and the powdered spices together. 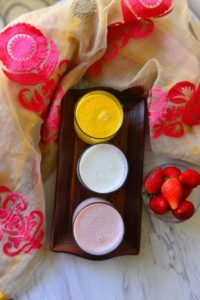 Mix well and sift one more time to aerate the mix and to distribute the ingredients evenly. Set aside. Place the nuts in a food processor or blender and pulse a few times till they are coarsely powdered. Do not process any further as these will give out oils and you will end up with a nut butter. Beat the butter till it is soft and fluffy. To this add the brown sugar and beat till well blended and the mixture is creamy. Add the egg yolks and vanilla and mix in thoroughly. Add the flour mix in batches and mix in leaving a few tablespoons of flour behind. Add the ground nuts to the remaining flour mix well and add to the dough. Mix everything uniformly . Divide the dough in half . Form into balls and flatten into disc about 4 inch in diameter. Cover with a plastic wrap and chill for at least an hour. This dough stays good in the refrigerator for a couple days or can be frozen for a few weeks. When ready to bake, take out the dough and let it rest on the counter for 10 minutes . Sprinkle some flour on a work surface and roll the dough out into a large circle about 1/8th of an inch thickness. 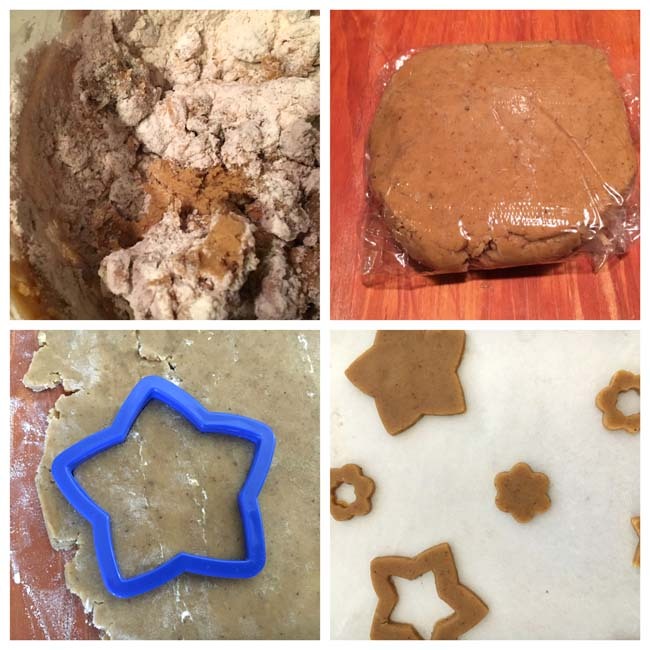 Use cookie cutters to cut the dough into desired shapes. Cut out the center of half of the shapes. I have cut out some stars and flowers and and from the centers of half of then have cut out smaller stars and flowers. No cookie cutters ? No problem, look around the kitchen and you could easily find glasses or cans or small bowls to makes circles of different sizes. Place the cookies on a baking sheet at least an inch apart and bake in a preheated oven at 350°F oven for 9 to 11 minutes . The cookies are done when the bottoms begin to brown and the sides look form. Remove from the oven and let cool in the cookie sheet for 2 minutes. Transfer to a cooling rack and cool completely . If not planning to serve the cookies the same , store them in an airtight container. When ready to assemble place the cookies with cutouts on a cooling rack and sift the powdered sugar on top. Take the jam in a bowl. If it is very thick warm a little to bring it to spreadable consistency. Take about half a teaspoon jam and spread it on the bottom a cookie without the center portion cut out. Place a similar shape cookie with the cutout on top of the jam with the sugared surface facing away from the jam . Press togeher and voila !!! Bring the butter and eggs to room temperature. 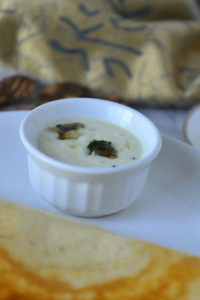 Sift the flour, spices, salt and the baking powder together. Mix well and sift again. Set aside. Pulse the nuts in a food processor or blender till they turn to a coarse powder. Set a side. In a large mixing bowl beat the butter until fluffy . Add the brown sugar and beat till the mix is creamy. Add the egg yolks and vanilla and beat in until evenly blended. Add the flour to the butter mix in batches and stir in. You may have to mix using the spatula after the fist half of the flour is mixed in. Add the nuts to the last couple of tablespoons of flour and transfer everything to the butter mixture. Mix evenly, but do not overwork the dough. Divide the dough in half. Form into balls , and pat into discs about 4 inches in diameter. Cover with plastic wrap and refrigerate for at least 1 hr, preferably overnight. Lightly flour a work surface and roll the dough out into 1/8 inch thickness. Using cookie cutters cut out into desired shapes. From half the cookies cut out center portions. Gather the leftover pieces of dough and re roll and repeat the process. Pre-heat the oven to 350°F. Arrange the cookies on a cookie sheet leaving at least an inch space between them. Bake cookies for about 9 to 11 minutes. 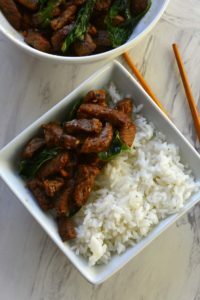 The cooking times vary depending on thickness. The cookies are done when the bottoms brown and edges are firm. Remove the trey from oven. Cool in the tray for 2 minutes and using a spatula transfer the cookies to a cooling rack to cool completely. Store in airtight containers. 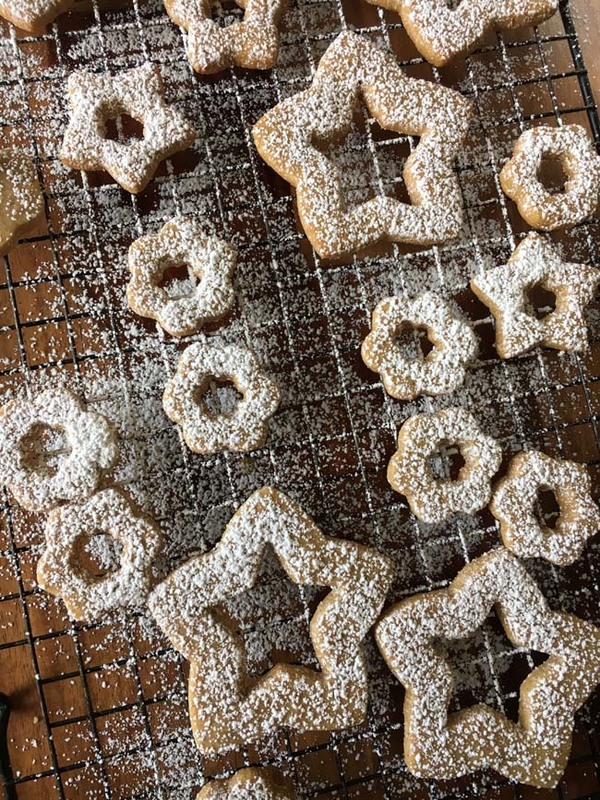 Sift confectioner's sugar over the cookies with the center cut outs . 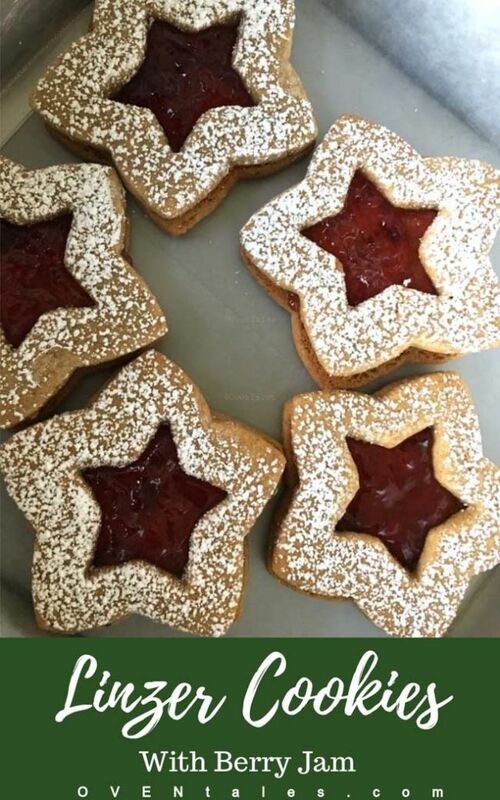 Spread a little jam on the bottom of a cookie without the cutout and place the cutout cookie on top with the powdered sugar side facing away from the jam.